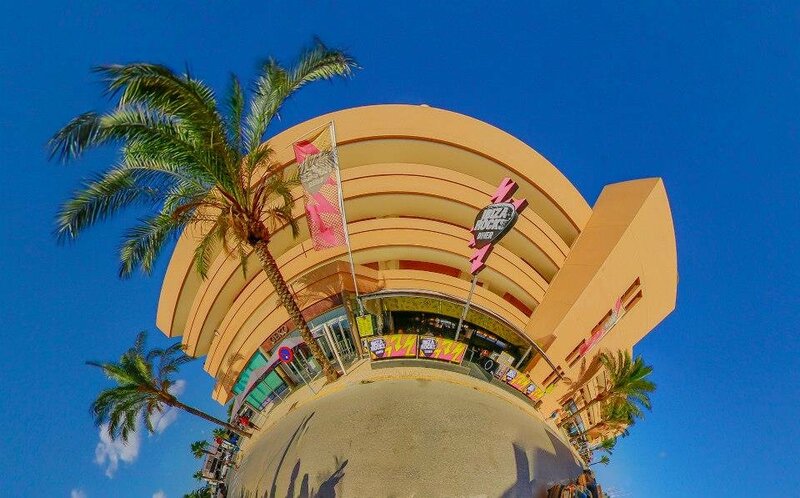 Ibiza Rocks migrates to Playa d'en Bossa, saves lives. As the scene for young clubbers has extended and focused itself on Playa d'en Bossa in the past few years, popular live music venue, hotel, bar and delicious diner Ibiza Rocks has dutifully set up camp on the east side, so Playa d'en Bossa holidaymakers no longer need to make the long and arduous (ok, it's 20 minutes) journey across island to enjoy a plate of ribs or chicken-pita-meal-deal. The Playa d'en Bossa Diner is right in the middle of the busy and buzzing Playa d'en Bossa strip - perfectly located to slide into after the beach or burst out of on the way to a club just five minutes away. This diner offers the same delicious menu as its San Antonio counterpart, and is also not a bad spot to catch some sport while you drink, if that's your ball game.